You might be asking yourself why GM and the NHTSA are getting so worked up over a few Corvettes that might lose their roofs at speed due to faulty adhesive, but you obviously aren't the guy behind the Corvette at 80 mph. Over 22,000 of the cars will face the fix, which GM will apply at no cost to the owners. The problem is an obvious one: roof panels flying off at highway speeds can cause a safety issue. The symptoms indicating imminent failure, however, might not be so obvious, and include a snapping noise when driving over bumps, wind noise or a water leak in the headliner. The latest roof recall is actually a fix of a previous recall for the same issue. 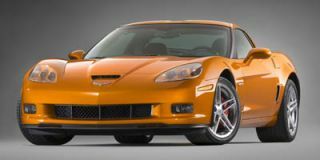 In 2006, GM recalled almost 31,000 Corvettes for faulty roof adhesive, but it turns out the foam adhesive used in that recall and also briefly on the assembly line in Bowling Green, Kentucky, wasn't quite up to snuff. Instead, the new fix is to replace the panel and adhesive with new materials. The fix will begin in January, 2010. Concerned owners of 2005-2007 Corvettes and 2006-2007 Corvette Z06s can contact Chevrolet at 1-800-630-2438 or at GM's Owner Center to see if they need to get their roof fixed. Today In Lawsuits: General Motors Is No Einstein. No, Really. Report: Ford To Shut Down Mercury Brand?